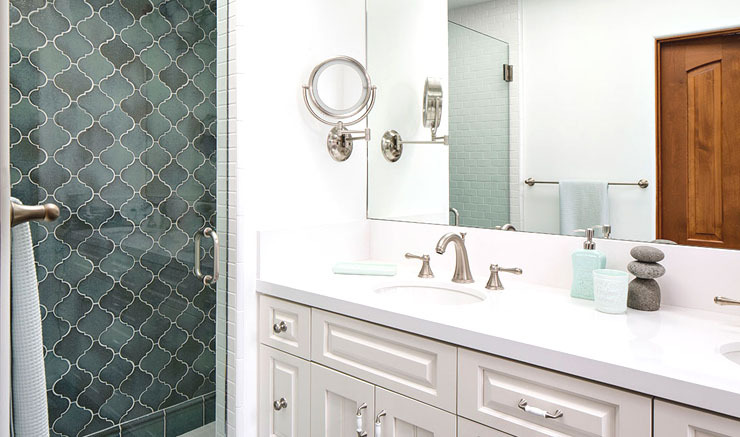 CM Natural Designs is a La Jolla based interior design firm headed up by Corine Maggio. Their work is featured here in this post with a beach house remodel project. I like discovering the work of designers from different parts of the country. This San Diego based firm has a really cool website that features before and after photos for most of the projects. Who doesn’t love a great transformation story? I like seeing a space go from a drab “before” to a cheered up “after” with the click of a mouse! 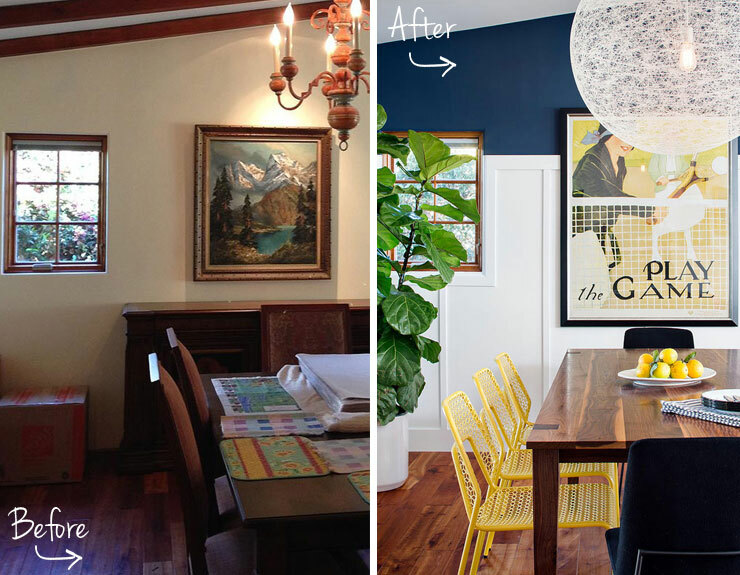 Anyhooooo…in this beach house remodel, Maggio and team certainly brightened up a rather bleak little seaside bungalow and transformed it into a fresh livable space. Love the use of the double high white wainscoting in the dining room and living room that creates a two toned room. 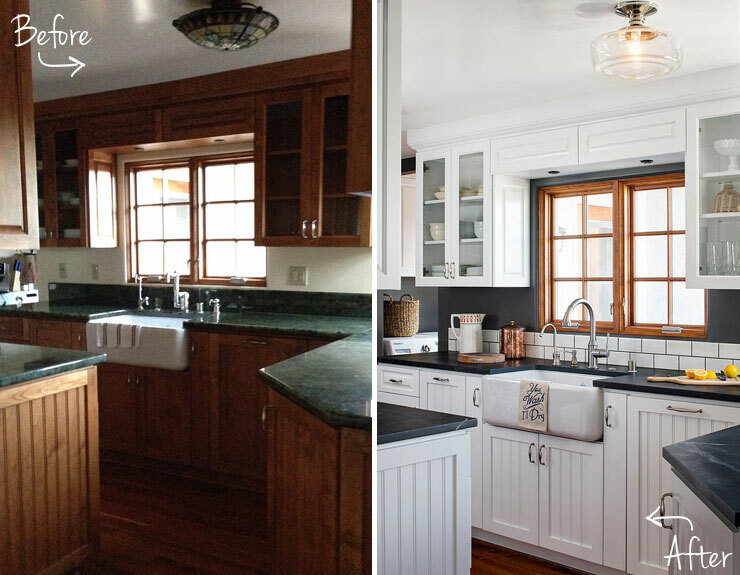 Also, I think it was smart to reuse the existing kitchen cabinets and just give them a face lift with a fresh coat of white paint, new dark counters and a subway tile backsplash. 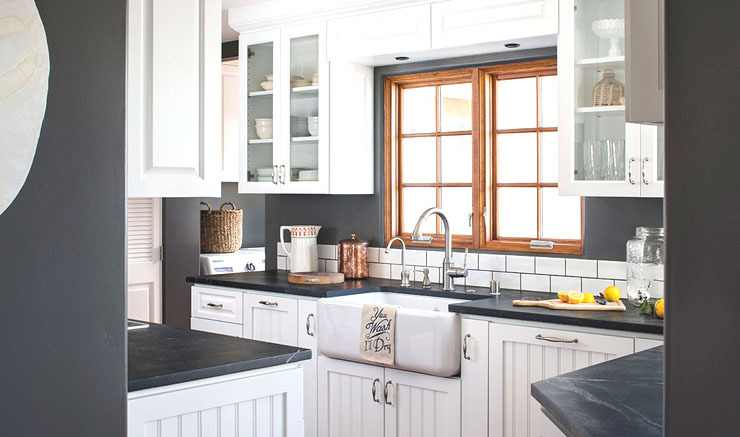 After – The kitchen is transformed with white paint to the cabinets, dark grey contrasting walls, new dark counters and a subway tile backsplash with dark grout. 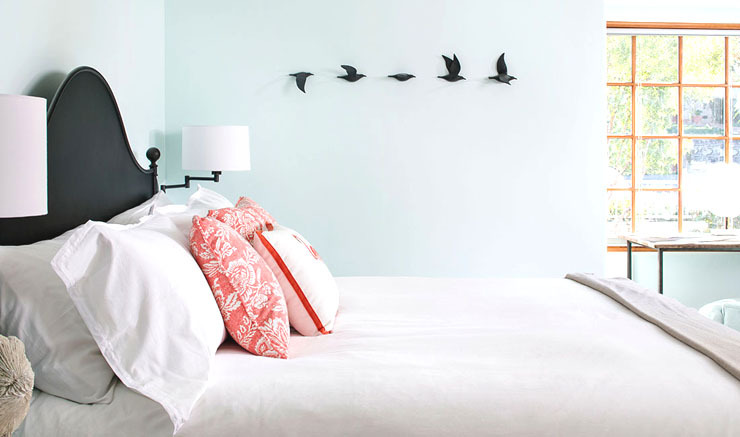 After – the bedroom features serene light blue walls, an metal headboard and simple wall art with flying birds! 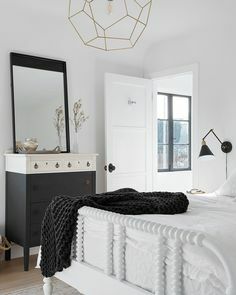 Cute bungalow remodel! Thank you for the before and afters Corine and team! Happy Tuesday! Happy beginning of September! I’m all filled up from the beauty of this post. If you ever rent it on VRBO or Airbnb, do let me know. Thanks for sharing. Love the fusion of colors. A beach house like this is truly awesome. Thanks for these great ideas. Something to try. Do you happen to know any more about the flying bird art or where it’s from?